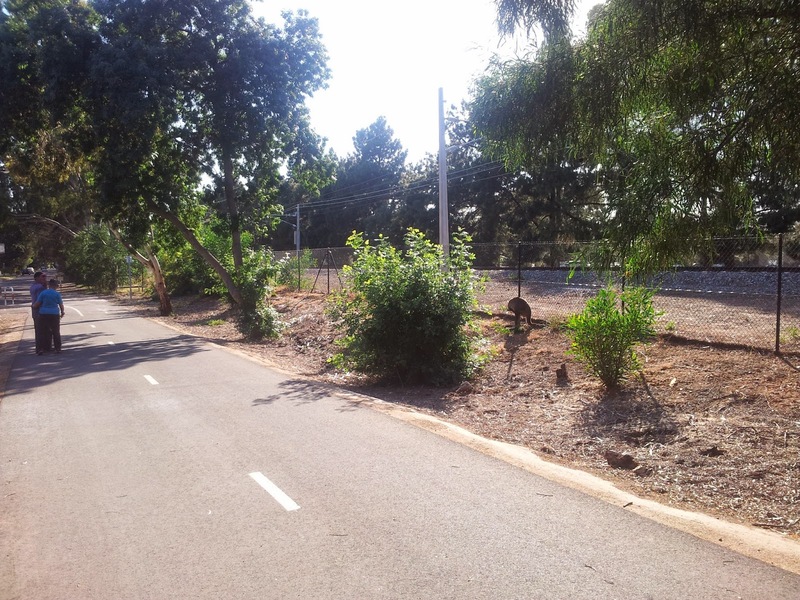 Accounts of an Adelaide Bakfiets Rider: This morning on our street we saw a .... kangaroo? 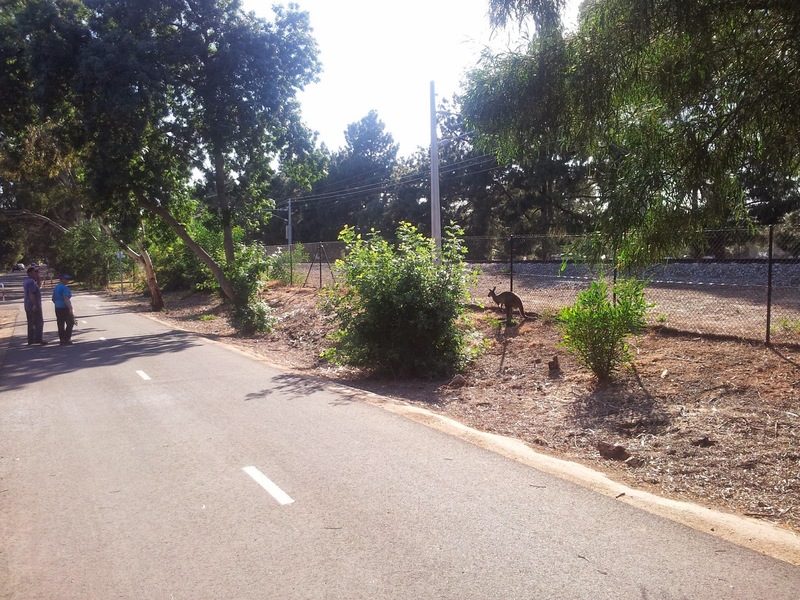 This morning on our street we saw a .... kangaroo? 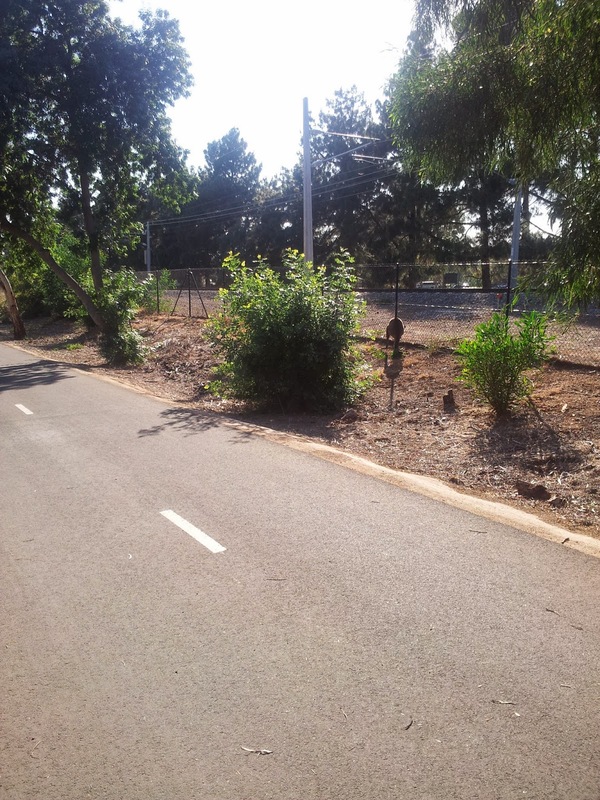 This morning on the way to work we were very surprised to see a kangaroo sitting beside the bike path at the end of our street. 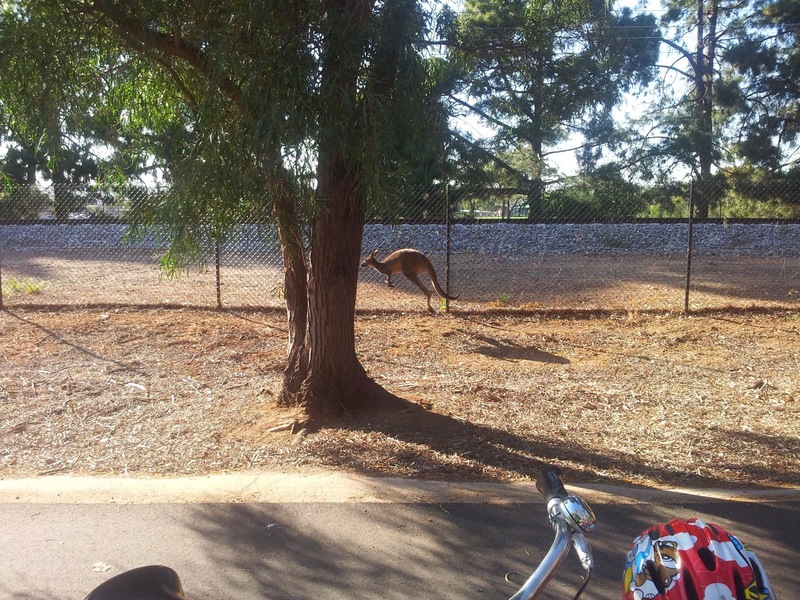 We had heard from some people earlier in the week that a 'roo was hopping around Marion somewhere, but were both happy and surprised to see it ourselves. Just another one of those little additions to our lives that comes from riding instead of driving. For those wondering, our local council is organising one of the fauna rescue groups to come and pick him up and take him (or her) somewhere safe away from cars and traffic.